Unfortunately, the SafeWay Personal Breathalyzer is no longer available. You can explore other items in the Breathalyzer category yourself to try and find the perfect replacement for you! For millions of people peace of mind is now affordable. 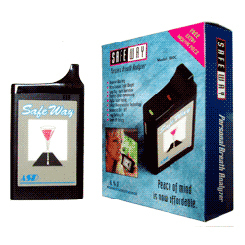 SafeWay I model PBA100 is used by consumers to make an intelligent decision as to their Blood Alcohol Content(BAC). More than two Million people get arrested every year for drunk driving. The common mistake they all commit is they guessed their BAC. SafeWay I lets you know if you are complying with laws in your State. It will save you the cost of legal defense, penalties, lost wages, humiliation, jail, and above all it will save lives. SafeWay provides users with the certainty needed to decide whether it is safe to operate a motor vehicle or not. 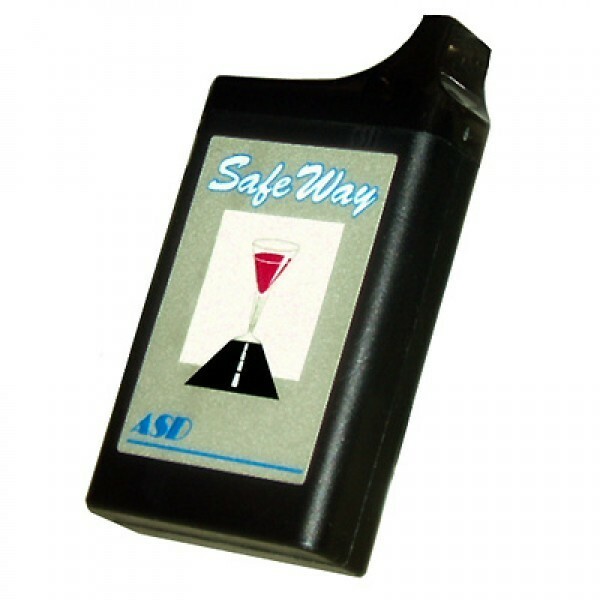 Simplicity and convenience make SafeWay a must have device for every responsible drinker. Turn the unit ON, once ready, softly blow into the mouthpiece and the unit will immediately displays your BAC in its color coded digital readouts. SafeWay is a technology breakthrough that is simple to use. It features removable mouthpiece, allowing multiple users in parties and social gatherings. Powered by a single nine volt battery which last for over one hundred tests. The digital display is easy to read, and the slick pocket sized device can be carried in a purse, jacket or glove compartment. Safeway I does not use a fixed blowing time, instead it has adopted a unique and smart blowing cycle that exceeds Dot required 4 sec. minimum blowing time. With peak detection technology, Safeway guarantees deep breath measurement. The low cost gives consumer's access to the same technology currently in use by law enforcement officers nationwide. SafeWay helps to avoid costly arrest, lengthy prosecution and increased insurance premiums. Certainly saving lives is the key benefit. Audio and visual indicators assist you in operating SafeWay easily and reliably. The display indicates the result in a simple to read color coded digital readout. Display: Ten color coded digital display Notes: * Accuracy varies depending on individual metabolism, blowing conditions, humidity, and the condition of the sensor.